The Denver Family Crisis Center provides services for Denver children who are abused, neglected, or abandoned. The facility is open 24 hours a day and houses social workers, medical personnel, dormitory facilities, and conference rooms for interviews and discussions between police, social workers, and parents. The Roybal Corporation was selected by the City and County of Denver to design two additions linking the existing facilities located at 7th and Kalamath. our services included overall planning and design for this addition/ renovation project. 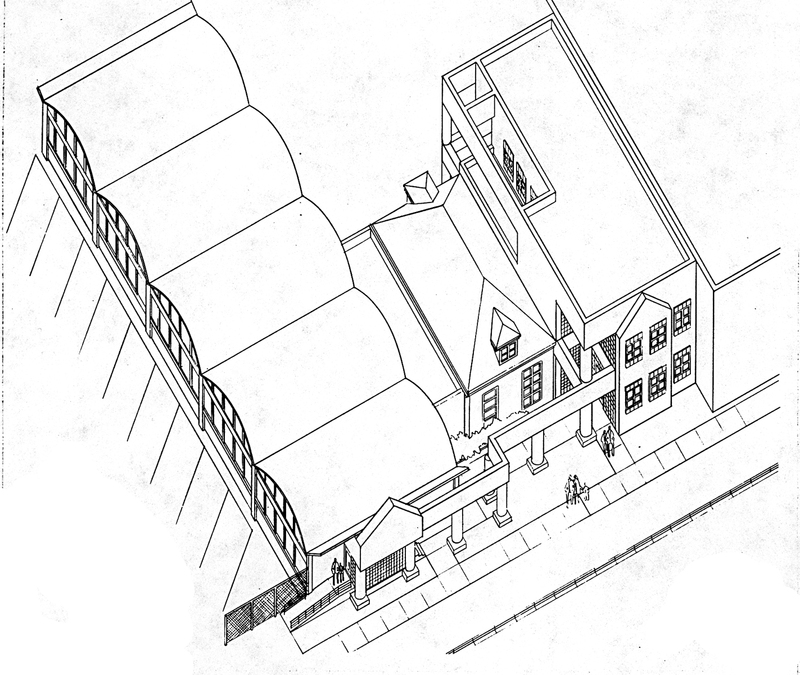 The planning and design study required our design team to develop a highly efficient space plan which integrated two existing buildings; an aging vaulted office structure and a small residential bungalow. 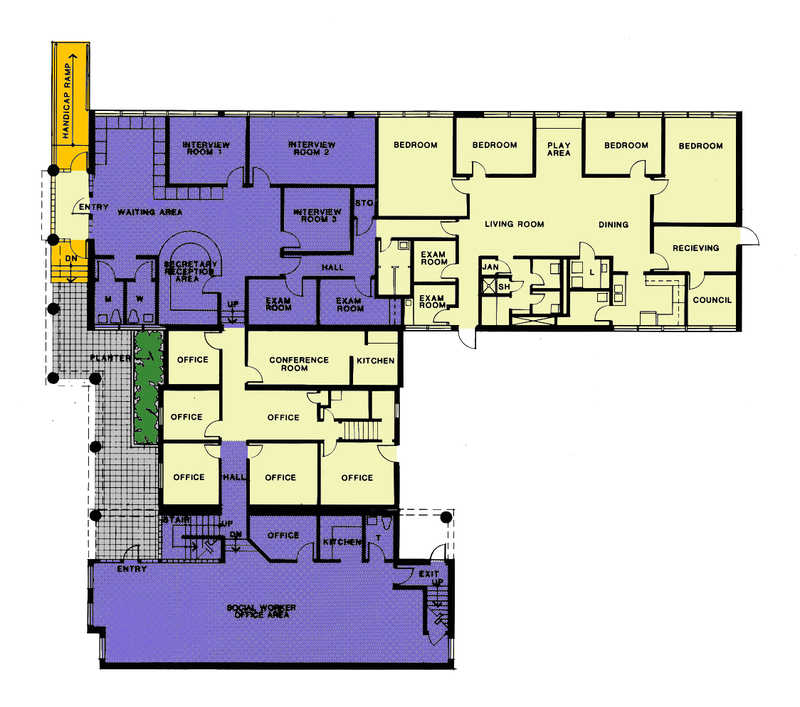 A new two-story addition to the south was also planned to provide additional office space for social workers. The project called for the expansion of the existing center including medical clinic facilities, reception areas, sleeping quarters, toilet facilities, and staff areas for 15 additional social workers.